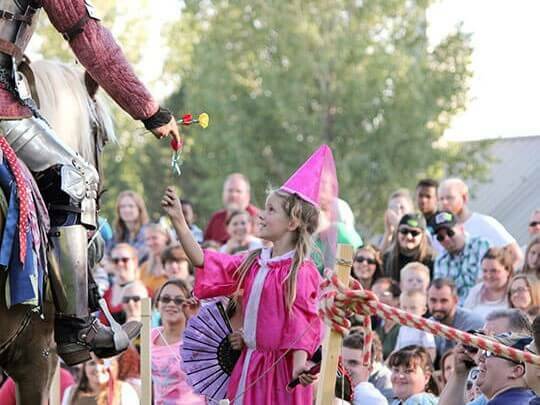 The Utah Renaissance Faire is back again, for it's 8th year, this summer. 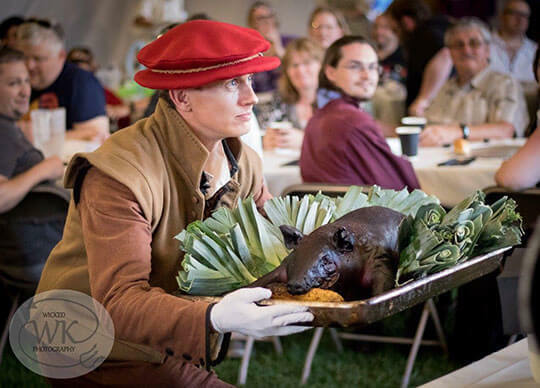 Join us and relive the renaissance and medieval times. See what we have to offer. From children to adults, we have a wide range of activities for all. 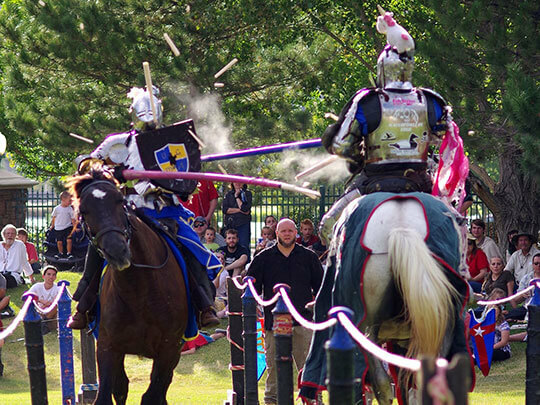 The Knights of Mayhem perform their full contact jousting twice daily. Friday at 12:00 pm and 6:00 pm then on Saturday at 2:00 pm and 6:00 pm. 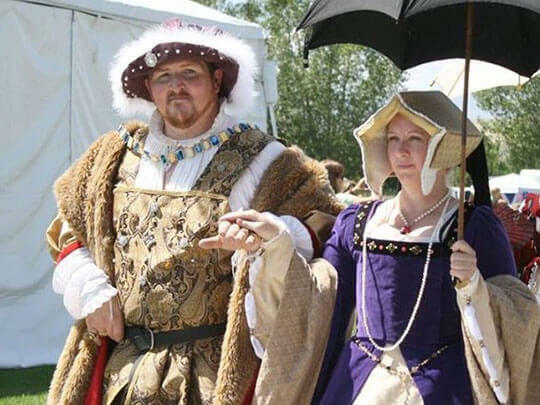 Visit with Queen Elizabeth, Henry VIII, Queen Mary, and more. 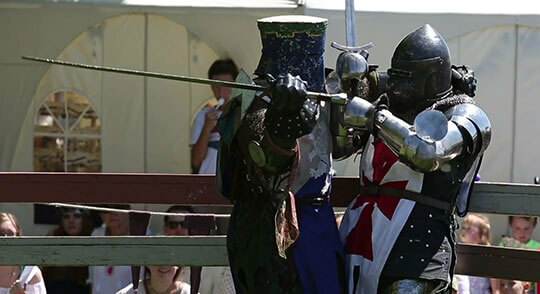 Action packed, hard hitting, and full force Armored Combat League shows throughout the day. Puppet shows, storytelling, foam weapon battles, and hands-on activities. 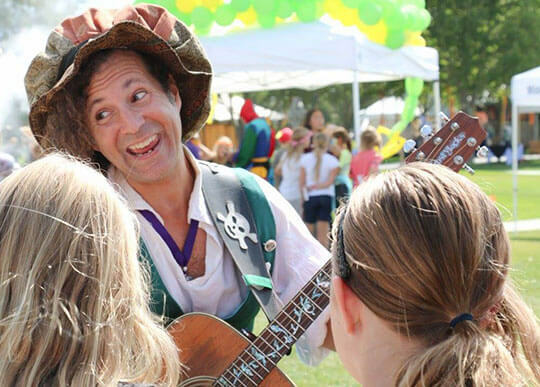 The return of the Phenomenal Fire troupe, Elias "Lefty" Caress's magical pirate shows, wandering minstrels such as Frostylocks, and others. 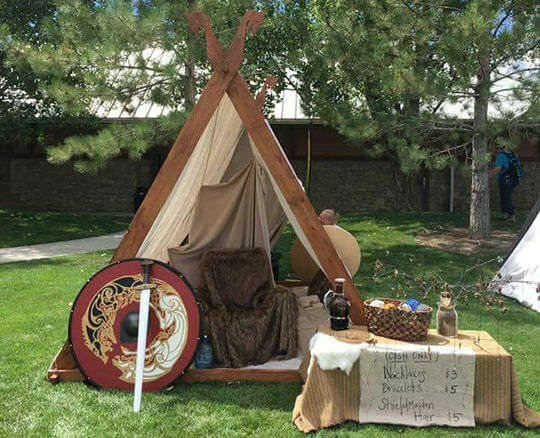 Visit a viking village with authentic a-frame tents, a blacksmith, and viking games. Visit a magical grotto full of wonder and enchantment with Court of Mermaids! Our many food vendors sell Turkey legs, roasted pork, scotch eggs, giant pickles, vegetarian and vegan options, gluten free options, and more. Non-alcoholic beverages only. VIP feast tickets sold separately. The celtic music of Taverna from Brazil, the medieval rock of Stary Olsa from Belarus, Bards and Nobles, and others, our schedule is packed with renaissance music this year!